Climate change in Mali has drastically altered precipitation patterns. The rains are shorter, but often so heavy as to cause local flooding. Helvetas helps farmers adjust to these changed conditions. This project is funded by donations and the Government of Liechtenstein. 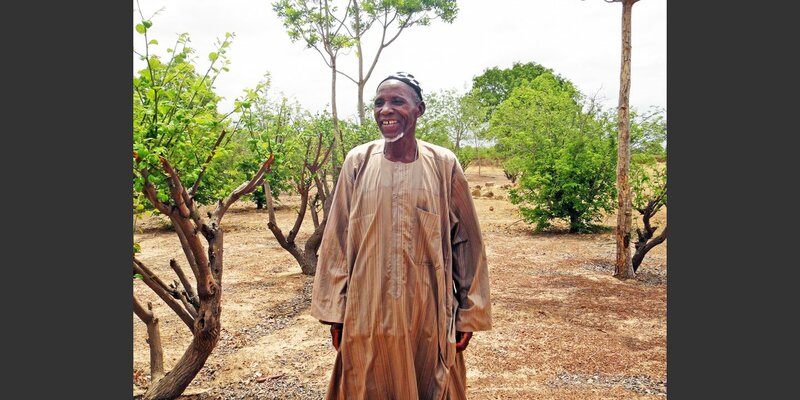 “Nowadays if you plant crops that take three months to bear fruit, you’ll end up with nothing to harvest.” This is how one farmer sums up what climate change means for agriculture in southern Mali. It has caused a decline in precipitation. But far more devastating is that the precipitation is frequently concentrated in a much shorter period, during which it comes down all the more heavily. Sometimes the downpour is so intense that the soil can’t hold all that water, which then runs off unused, often causing local floods. Some discouraged farming families move to the city, where they see better chances of survival. Others stay put. In a project called “Nèmasso” – the Bambara word for a humid and therefore pleasantly cool house – Helvetas helps them adapt to climate change: locally, through adjusted methods of working the fields and in the household, and regionally, through adaptation measures for entire catchment areas. Locally, for example, we seek ways to utilize waste from the processing of mangos and cashews or to design cooking pits to burn firewood, a scarce resource, or charcoal more efficiently. The project also looks for ways to take advantage of the temporary flooding of fields to plant feed and food crops there. One approach, for instance, is to build dams or ditches in the catchment areas to slow the runoff and thereby maximize water penetration into the soil. What is new about the project is that it involves active cooperation with the state meteorological service. 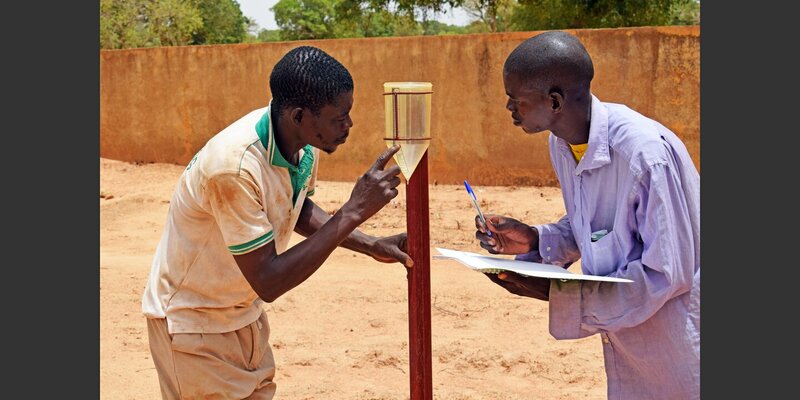 Farmers learn not only to interpret weather forecasts and adjust their agricultural activities accordingly, they also learn to gather meteorological data themselves, for which purpose young people are trained to run small weather stations. Nèmasso is our first African climate project to be financed by Helvetas’ so-called Strategic Fund. In cooperation with governments – in this case the government of Liechtenstein – and private donors, the Strategic Fund enables us to test the efficacy of new methods and approaches for which we have no empirical values so far.